Yair Lapid, Tzipi Livni – who defended John Kerry's boycott threats – weren't invited to secret discussion of the boycott against Israel. Prime Minister Binyamin Netanyahu convened a secret discussion regarding the BDS threat to Israel, and did not invite the ministers of Yesh Atid and Hatnua to the session, reported Maariv's Eli Berdenstein Monday. BDS – or Boycott, Divestment and Sanctions – is the name of the movement to boycott Israel. The discussion was originally scheduled for 10 days ago, but was rescheduled for Sunday. Unlike the originally planned meeting, reports Maariv, many ministers were not invited to Sunday's discussion – including Yesh Atid's Yair Lapid, Yaakov Perry and Shai Piron, as well as Justice Minister Tzipi Livni. Ministers who did participate include Avigdor Liberman and Yuval Steinitz (Likud-Beytenu) and Naftali Bennett of the Jewish Home. The proposal discussed by the ministers was prepared by Yossi Kuperwasser, Director of the Ministry for Strategic Affairs, which is headed by Steinitz. Also present were representatives of the Mossad, Shin Bet and the Coordinator of Government Activities in the Territories (COGAT). 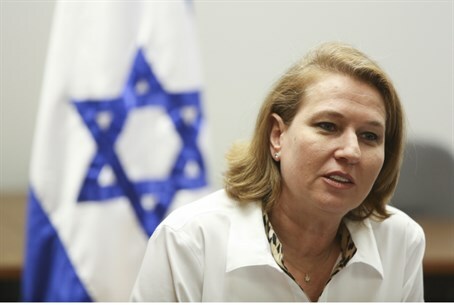 Berdenstein reported that the discussion was held in secret and that none of the ministers who participated would leak any of its contents – nor would they say why Livni and the Yesh Atid ministers were kept out of it, when they had been invited to the discussion at its original date – before tensions between Netanyahu and Bennett caused it to be postponed. He notes, however, that in the course of the 10 days that had passed between the two dates, US Secretary of State John Kerry warned that Israel would face boycotts if it does not make peace – and both Livni and Lapid had defended Kerry. The statements in defense of Kerry were perceived by Netanyahu as assisting US efforts to pressure Israel to change its positions vis-a-vis the US proposals for a peace deal with the PLO. Livni explained that Kerry was only trying to help: "It's just like when someone returns from a trip somewhere and warns his friends against a storm raging there – that's not a threat, it's warning his friend because he cares about him and worries about his well-being," she said. Lapid, for his part, warned of dire economic fallout if a peace deal is not struck: "If the negotiations with the Palestinians get stuck and we enter the reality of a European boycott, even a partial one, the Israeli economy will retreat, every Israeli citizen will be hit directly in his pocket, the cost of living will rise, budgets for education, health welfare and security will be cut, and many international markets will be closed to us,” warned Lapid. His statements were hailed as “brave” by Kerry.